Destiny 2 Update 1.3.0–coming alongside Forsaken in September–will be bringing a long-awaited feature to the game: Collections. Collections are a good solution for the vault space problem, where players are currently running out of room to store all of the weapons, armor pieces, Ghost shells, ships, Sparrows, mods, and shaders that they’ve been acquiring. They’re also great for people who just want to collect everything, but aren’t necessarily planning to use every single bit of gear they’ve earned since the start. Guardians have been wondering exactly what would be tracked in Collections. Would they need to hold onto everything until September 4? Would Destiny 2 Collections track all the way back to the beginning of the game? The answer is actually a happy medium between the two. According to Bungie, Collections will track anything earned since Warmind launched on May 8. This means that you can safely dismantle any items you would like (aside from consumables) and the game will track which ones you’ve earned, adding them to your Collection on September 4 with Update 1.3.0. Destiny 2 Collections will also allow players to retrieve any pieces of gear that they’ve previously earned (again, with the May 8 cutoff in mind). Costs to reacquire items from collections are currently being worked out, but at least you won’t have to hope for a random drop to get back a weapon or other piece of gear that you’ve already received once before. Bungie is determining the best balance between not making it a resource sink and still making weapon acquisition within the world have value. Reacquired items will be close to your current power level so that they are immediately usable, but low enough that they won’t allow for any leveling exploits. Shaders are also getting a small overhaul with Collections. Instead of a Glimmer cost to apply, it will simply cost to pull Shaders from your Collections. That means that if you want more of a certain Shader, you can freely pull it out at any time once you have acquired at least one of them and the game logs it. I still don’t know if this will solve the overall Shader problem that Destiny 2. Shaders are still consumable and Eververse Shaders will cost Bright Dust, which means that players will still be reserved about willfully swapping them out on a whim (a la Destiny 1), but it’s certainly a start. The big kicker with Collections comes when you get to Year 2 items. Random rolls are making a return to Destiny 2 in Year 2, meaning that weapons and armor will no longer have fixed perks. Collections will still track which pieces you’ve collected, so the completionists will at least be happy with that, but there will be no way initially to reacquire any of those pieces of gear. With the addition of random perk rolls to items starting in Year 2, we had to make a tough call for Collections. We investigated numerous options for gear with random perks: fixed Collections perks, buyback limits, reroll mechanics, and many others—but each of these came with issues that impacted the Collections experience in a negative manner. Ultimately, we decided to disable purchase of all Year 2 randomly-rolled Legendary weapons and armor. Overall, Destiny 2 Collections looks like it will solve a massive storage problem that the game has right now, but there are still some kinks to be worked out. For now, go ahead and delete any items that you don’t want. 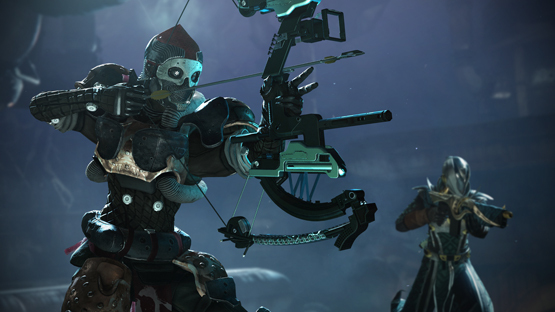 Bungie is already tracking those and they’ll be added to Collections when it launches on September 4. In other Destiny 2 news, Update 1.2.3 is set to bring some pretty big changes and events ahead of Forsaken’s launch, including some Exotic armor reworks and an increase in the Destiny 2 Power level cap up to 400. Bungie is also making some changes to the way that Crucible ranking works to make it less punishing to players. Are you excited for Destiny 2 Collections? How would you solve the Year 2 gear reacquisition issue? Let us know your thoughts in the comments below.